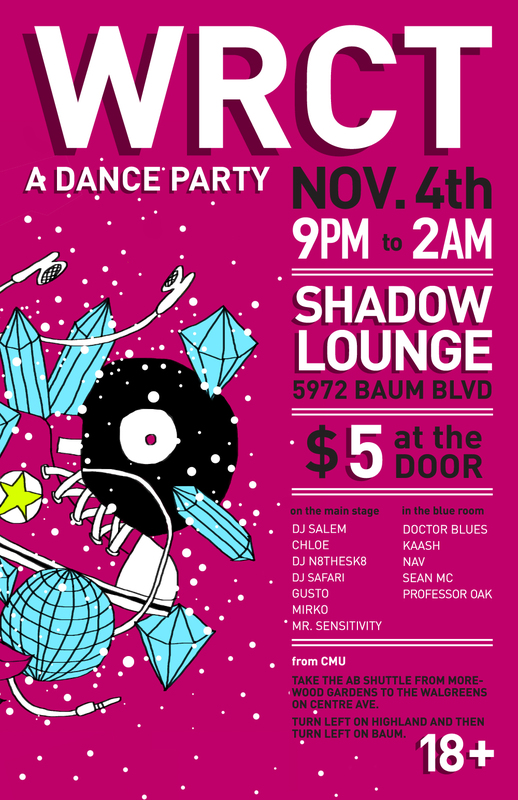 We are ecstatic to invite you (and everyone you know) to dance till you drop at WRCT’s Fall Dance Party Friday, November 4th. Say goodbye to Fall by dancing your butts off to tunes from a dozen of your favorite WRCT DJ’s. We’ll be keeping the party going all night at the Shadow Lounge from 9pm-2am. Entry is an affordable $5 to keep these parties going. 18+ to go, 21 to flow. We’ll see you there! Prepare yourselves. 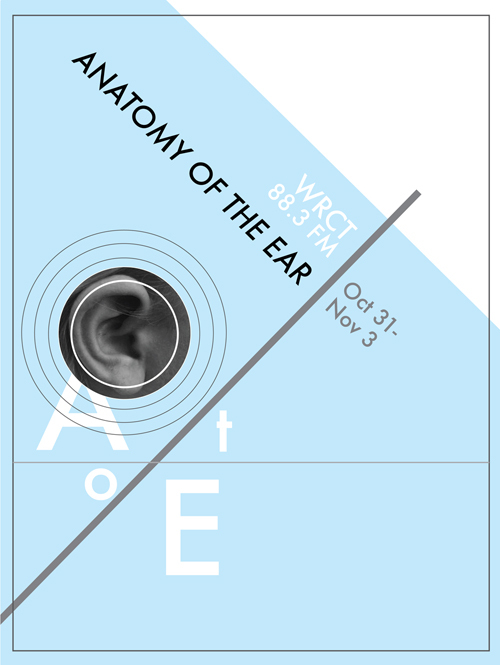 After a 2 year hiatus, WRCT’s Anatomy of the Ear is back. Every night starting Monday the 31st until Thursday the 3rd, from 6 PM until 12 AM our DJs will be collaborating live on the air to take you across the vast gamut of genres that WRCT is most fond of. To see when your favorite sounds will be playing, please check out the schedule for the festivities.